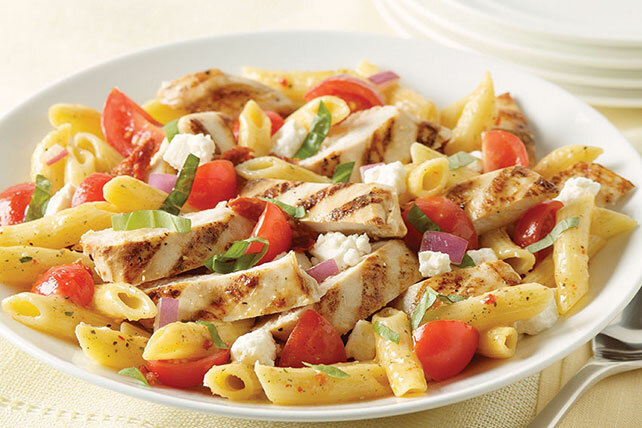 Full of Mediterranean flavours from the feta, fresh tomatoes and basil, this dish rivals the grilled chicken pasta salad at your favourite restaurant. This delicious salad can be prepared ahead of time. Refrigerate up to 12 hours before serving.